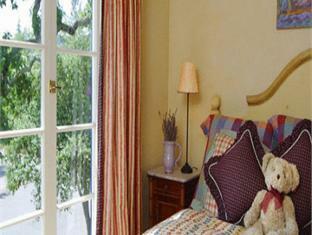 The Lavender Hotel is located in Yountville (CA) making it one of the best hotels to stay at while in town. All hotel's guestrooms have all the conveniences expected in a hotel in its class to suit guests' utmost comforts. In-room facilities include non smoking rooms, air conditioning, bathrobes, daily newspaper, desk. This Yountville (CA) accommodation features on-site facilities such as shops, room service, disabled facilities, tours, business center. Leisure and sports facilities available on the hotel's property comprise massage, garden. The hotel creates a balance of rich culture and modern convinience to ensure you a memorable stay. To proceed with this reservation at the Lavender Hotel, please enter your visit dates and follow our secure online booking form.